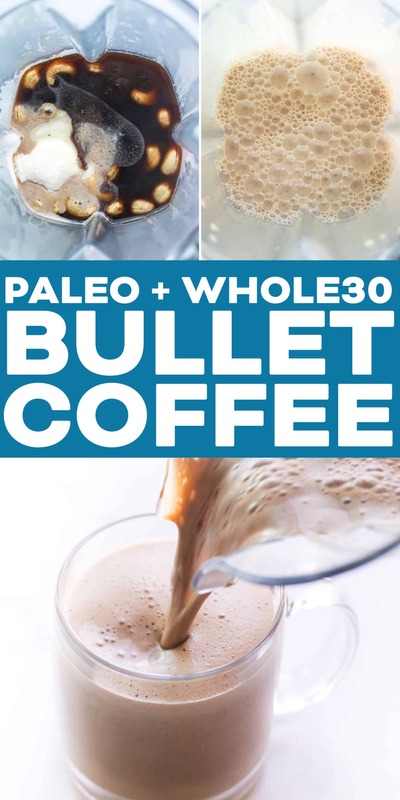 Paleo + Whole30 Bulletproof Creamy Cashew Coffee Recipe – to support weight loss, brain function and sustained energy! Dairy free, gluten free, grain free, sugar free, keto, clean eating, real food. 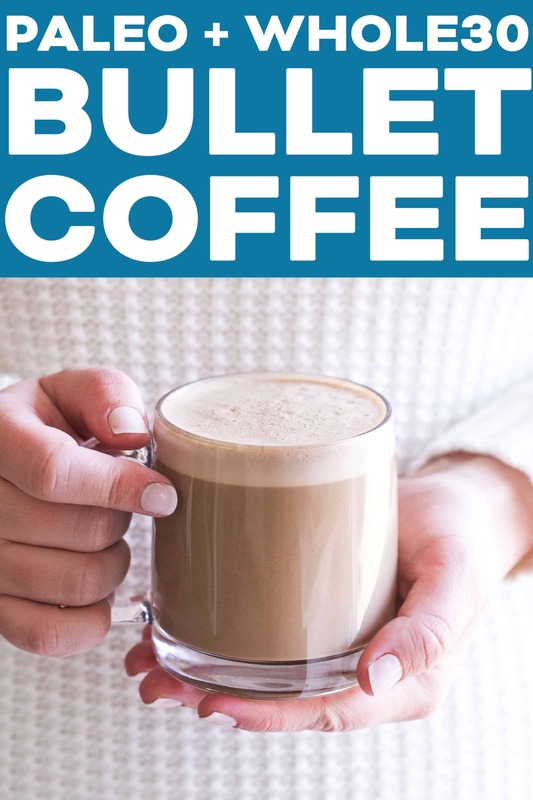 I’d like you to meet my new favorite bulletproof coffee recipe that I am having every single morning. It has changed my life! It is curbing my hunger like nobody’s business. I’m finding myself with tons more energy, and brain clarity too. Bulletproof coffee is coffee that is filled with healthy fats, usually grass fed butter (I use ghee to keep it dairy free) and MCT oil. The combination of the caffeine from the coffee along with the fat from the ghee and MCT oil gives you a steady boost of energy, rather than a huge spike and rapid decline that you would experience with a plain cup of coffee. 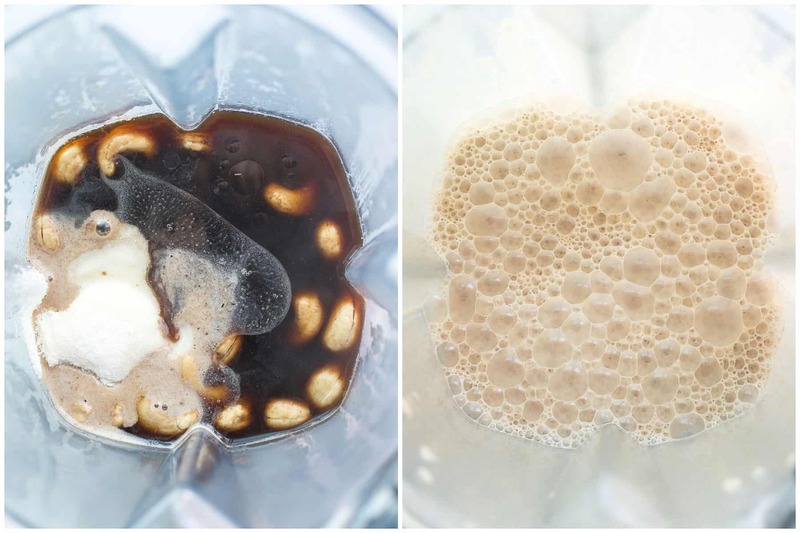 Making the creamy cashew coffee couldn’t be easier. In a blender you combine brewed coffee (I love dark roast! ), ghee, MCT oil. To give it additional protein I add in 2 scoops of Vital Proteins Collage Peptides, which is pure protein that boosts hair, nail, joint and gut health. For some delicious creaminess I add in raw cashews. The cashews completely blend up in the blender, and it tastes like a dairy based coffee creamer! You’re going to love how creamy the cashews make your coffee! Pure, heavenly creamy goodness. This is optional, but if I’m feeling like a bit more sweetness I may add in 1 pitted date. 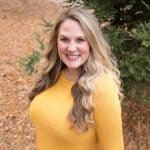 Be sure to leave this out for Whole30 and Keto! 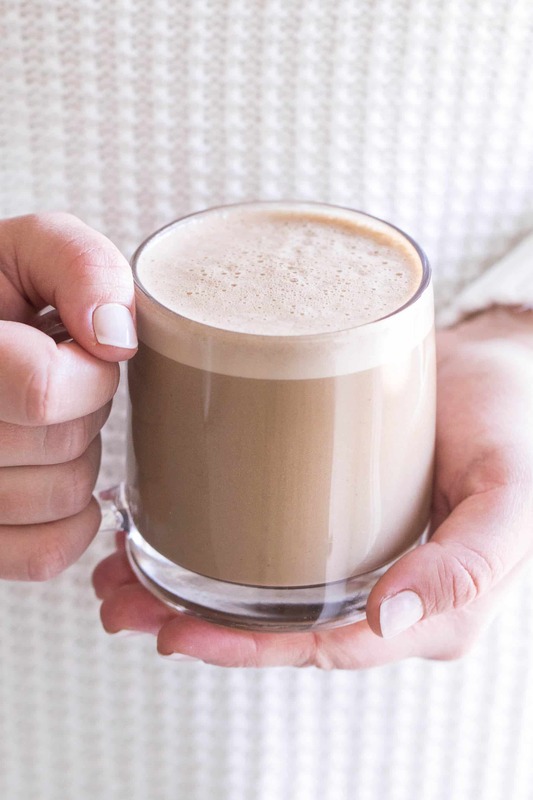 You don’t need any fancy coffee equipment to get a good foam on your bulletproof coffee. Just a high speed blender! Add all the ingredients in and blend on high for 60 seconds. 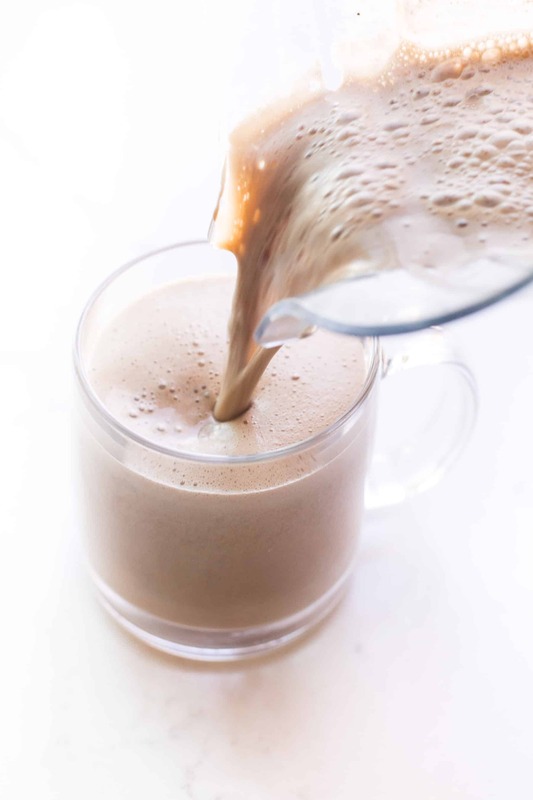 The blender will completely puree the cashews into a cream, and give your bulletproof coffee that foamy topping you love from your local coffee shop. 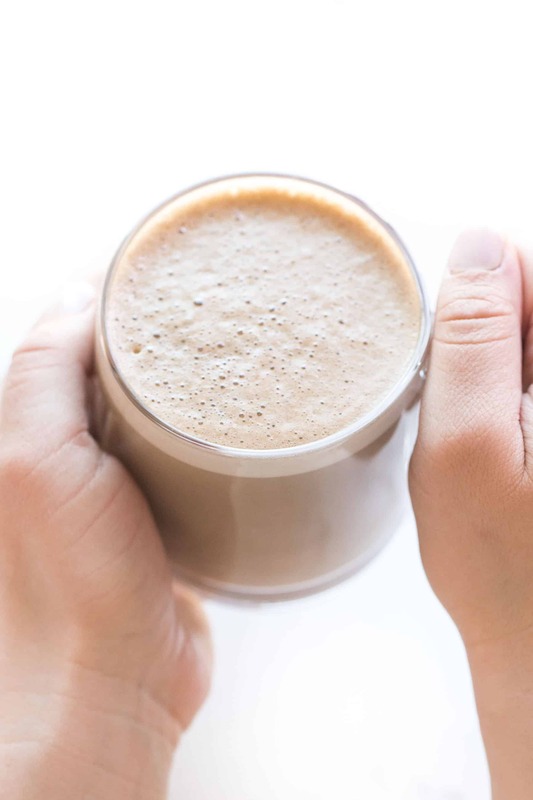 This is the basic paleo + whole30 bulletproof creamy cashew coffee recipe I love, but there are a few add in’s you could try to mix things up! 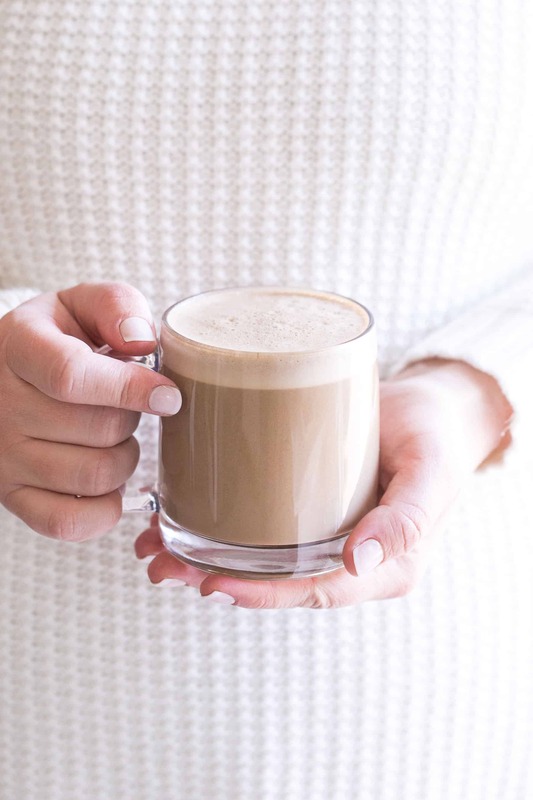 The possibilities are kind of endless, so have fun creating the perfect bulletproof coffee that will bring you joy in the morning! Combine all the ingredients in a high speed blender. Blend on high speed for 60 seconds. Can you email potatoe salad recipe?